You don’t have to be a tennis player to suffer the pain of tennis elbow, a condition that can limit your ability to do simple actions like turn a doorknob or hold your cup of morning coffee. 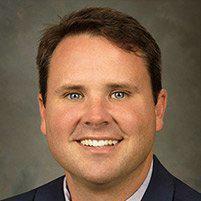 At Columbus Shoulder Surgery & Sports Medicine in Columbus, Georgia, orthopaedic surgeon Robert Lewis, MD, can help relieve your tennis elbow symptoms. If you have pain in your elbow and forearm, call or click online to schedule an appointment with Dr. Lewis today. Tennis elbow is a painful condition that affects the tendons connecting your elbow to the muscles of your forearm. This condition occurs when repetitive movements of the wrist and arm strain the tendons. Symptoms of tennis elbow usually start out mild and develop gradually over a few weeks or months. You may notice pain without experiencing a specific injury. A common sign of tennis elbow is pain on the outer part of your elbow that may radiate down your forearm and into your wrist. Another indication is weakened grip strength. Tennis elbow can make it painful or difficult to do the things you normally would, like hold a tennis racket or turn a wrench. Contrary to its name, only a small percentage of tennis elbow cases affect tennis players. However, playing tennis or other racket sports increases your risk of tennis elbow, especially if you’re a beginner with an improper stroke technique. While it’s possible to develop tennis elbow at any age, it’s more likely to occur in adults between the ages of 30 and 50. Tennis elbow is an overuse injury that stems from muscle strain. The tendon that gets burnt out in tennis elbow is the one responsible for straightening and raising your hand and wrist. Repeating this motion too frequently can create tiny tears in the tendon. How does an orthopaedic surgeon treat tennis elbow? First, Dr. Lewis diagnoses your tennis elbow with a physical exam. He may ask you to move your wrists and fingers to check for pain. If these treatments fail to relieve your symptoms, or your tennis elbow is severe, Dr. Lewis may suggest surgery to repair the damaged tendon. 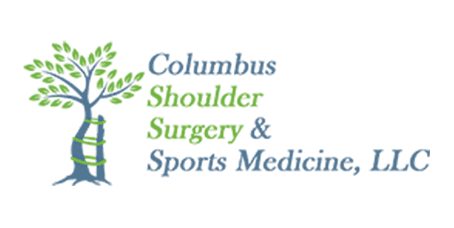 If the debilitating pain and weakness of tennis elbow are interfering with your life, call Columbus Shoulder Surgery & Sports Medicine or book an appointment online today.